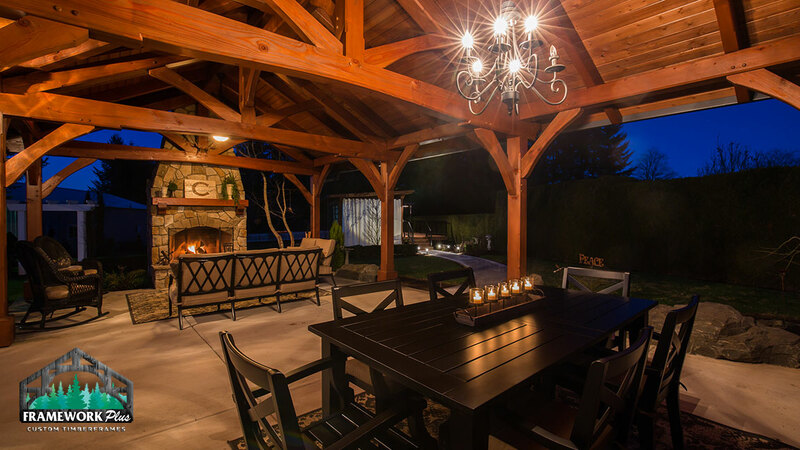 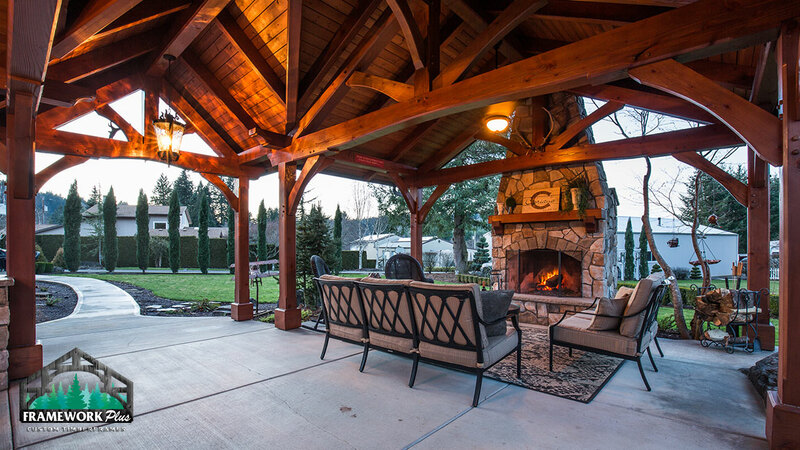 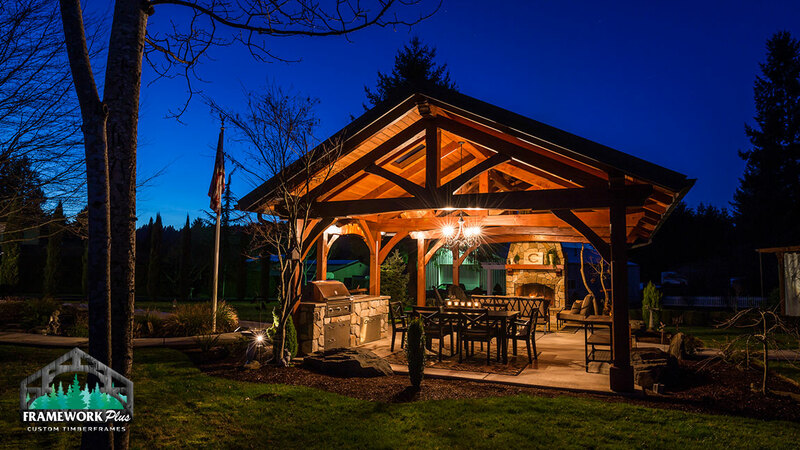 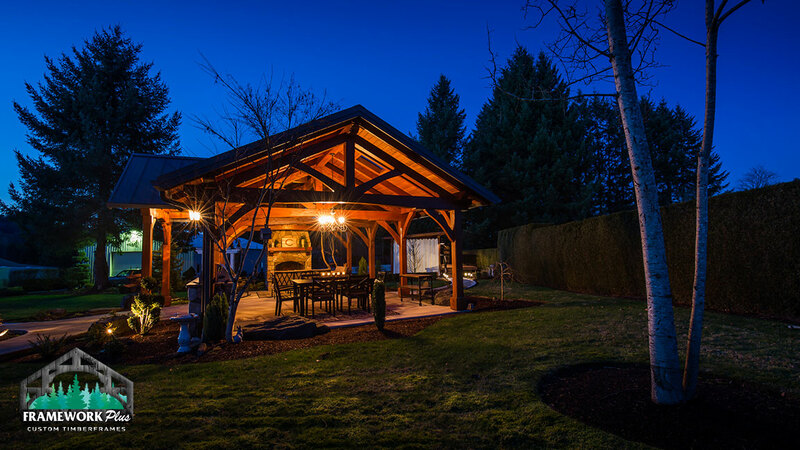 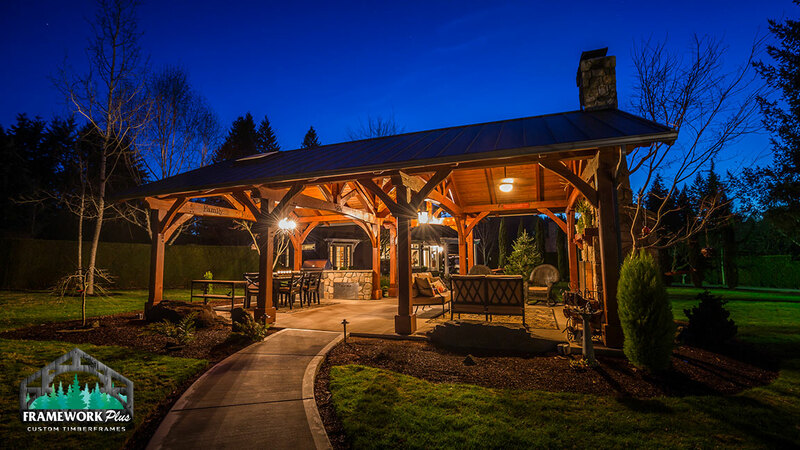 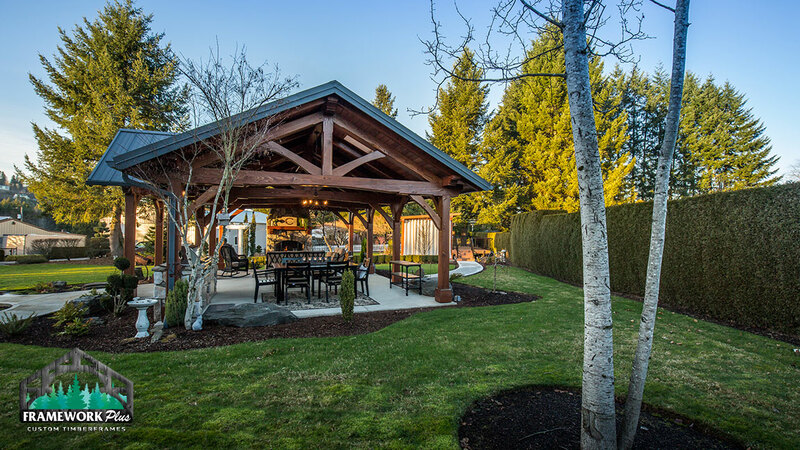 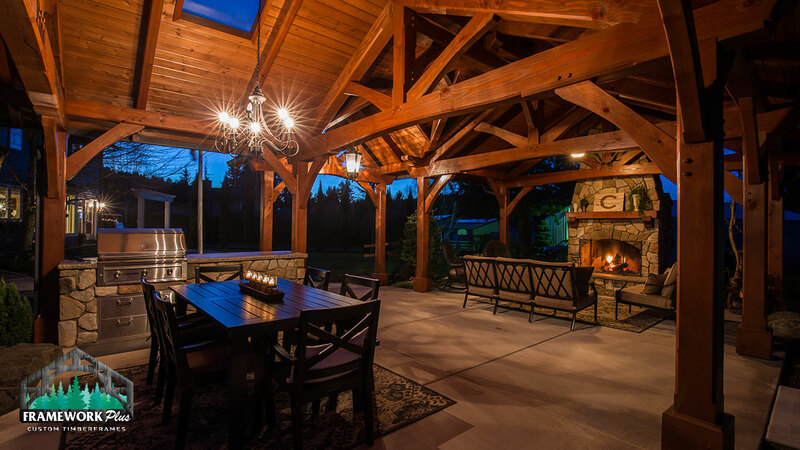 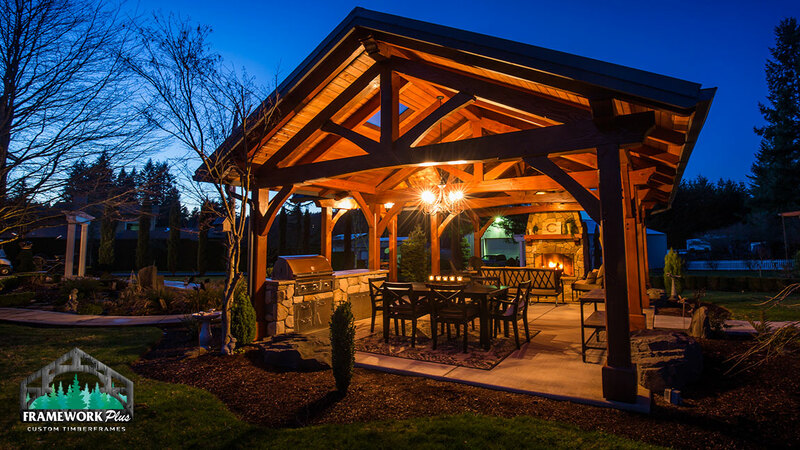 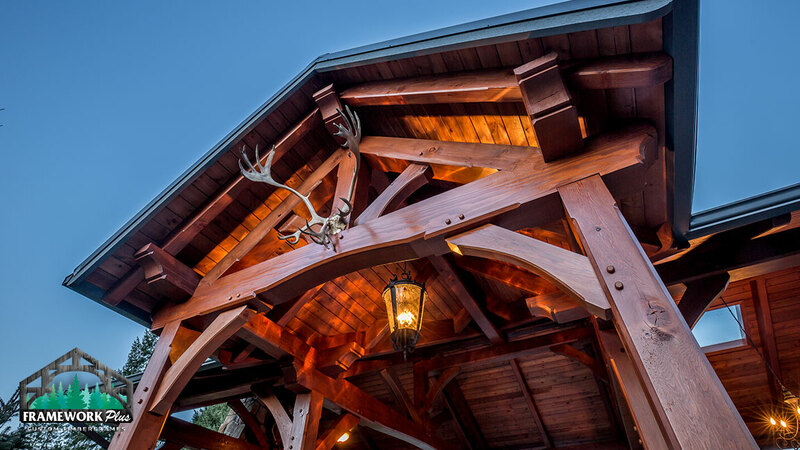 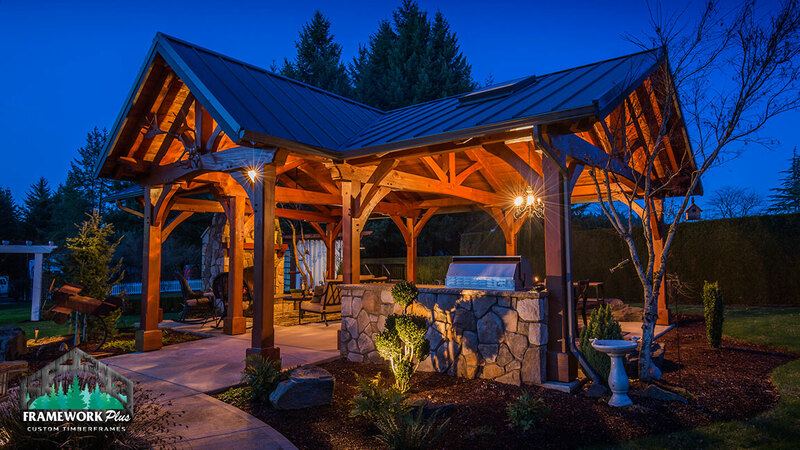 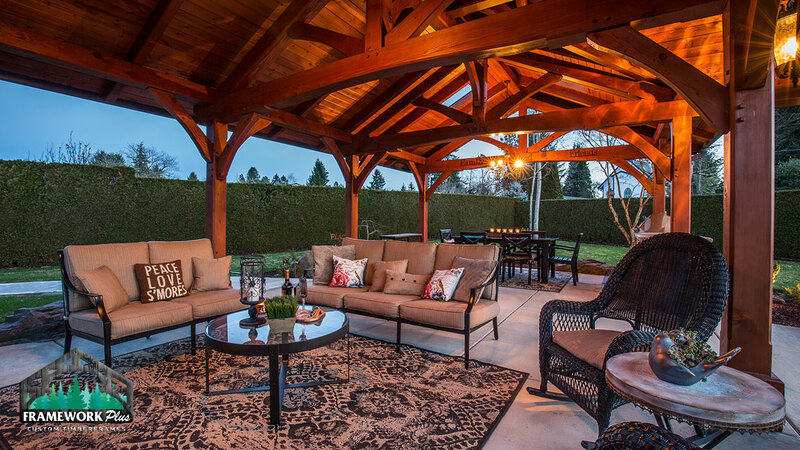 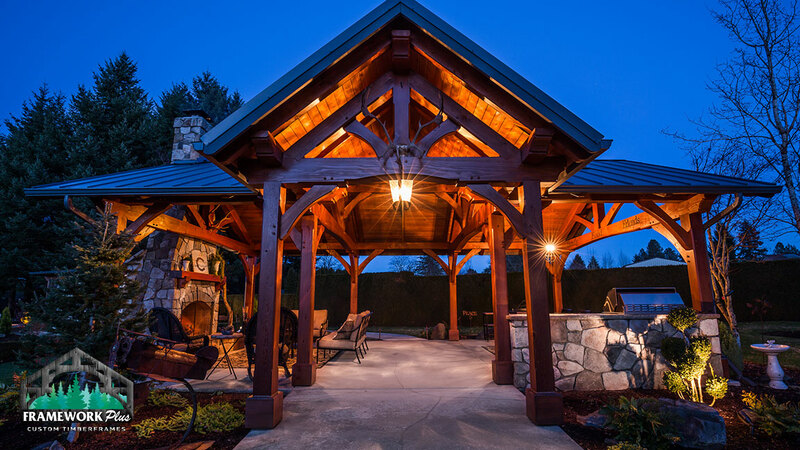 This stunning 18’ x 30’ timber frame pavilion kit in Boring, Oregon features handcrafted king post trusses. 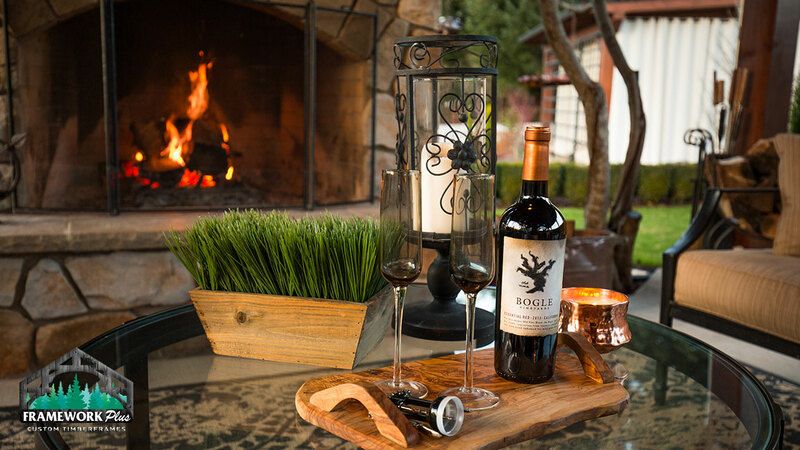 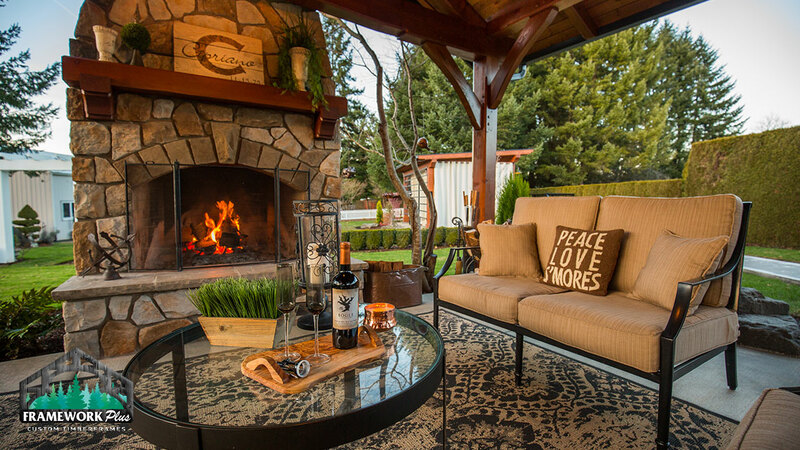 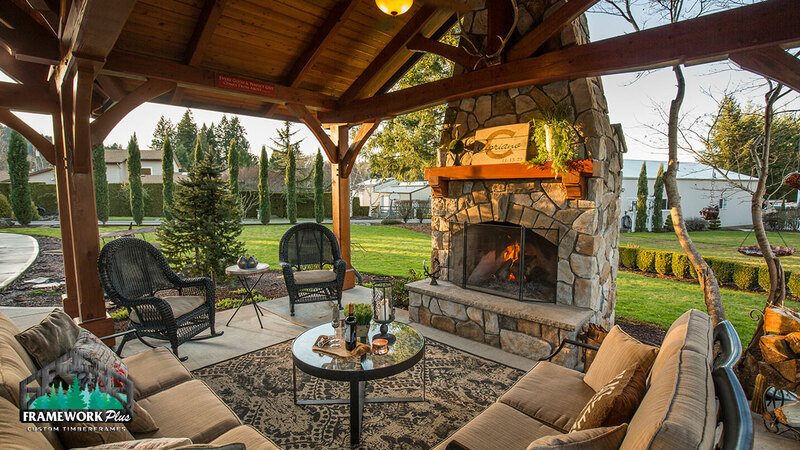 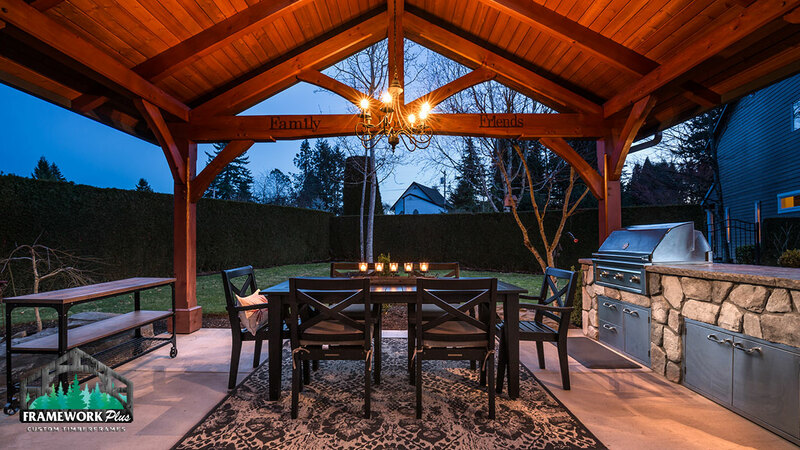 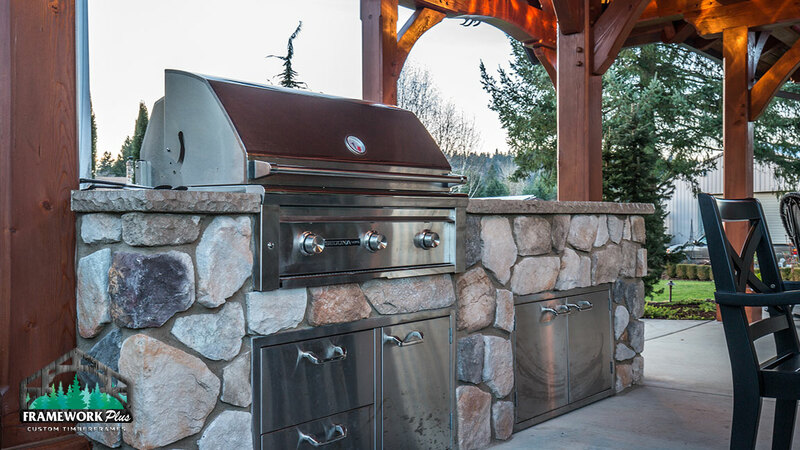 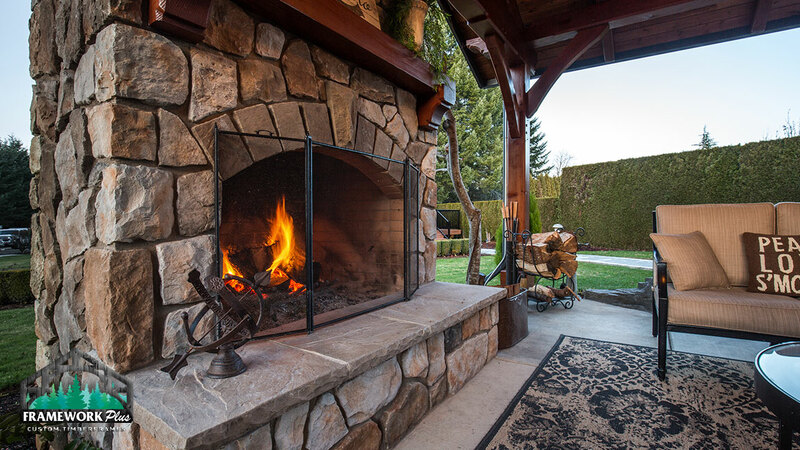 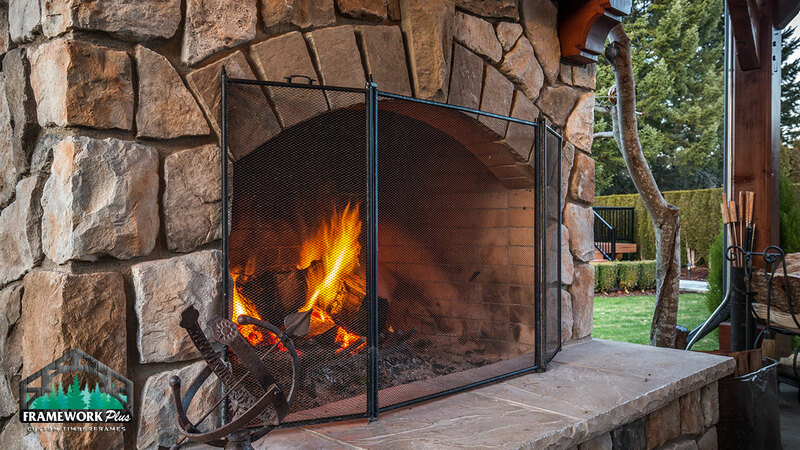 The versatile outdoor living space includes a fireplace, skylights, outdoor kitchen and seating areas by both the fire and kitchen. 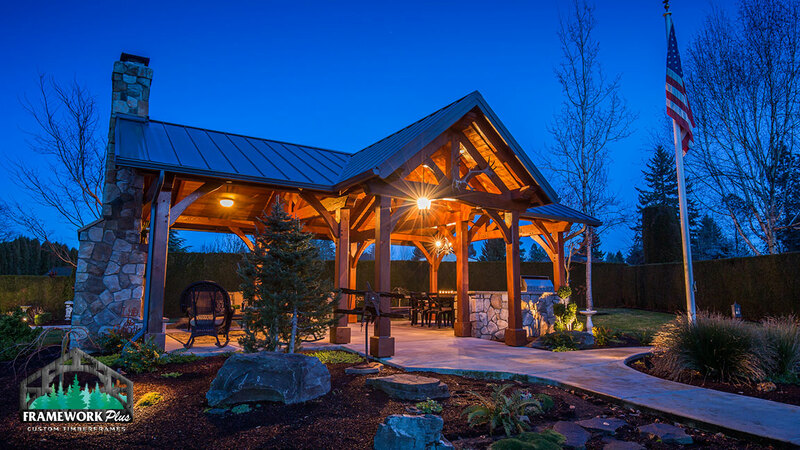 The tongue and groove ceiling creates a traditional timber frame feel while the standing seam metal roof protects it from all weather conditions.